Mercedes trade heavily on creating desirability, and part of that allure is founded by hyperbolic luxury and high-performance models, far out of the reach of most customers. 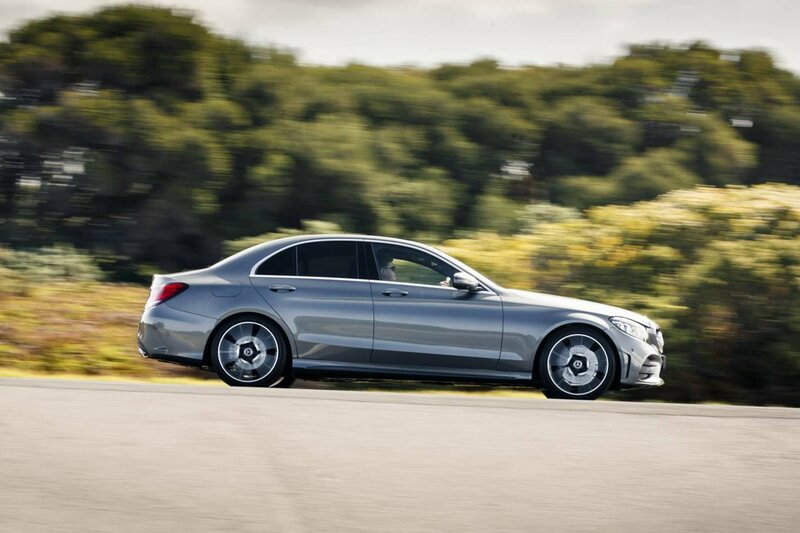 The C-Class is a compelling all-rounder, but it’s at the more affordable end of the spectrum where most budgets fit. 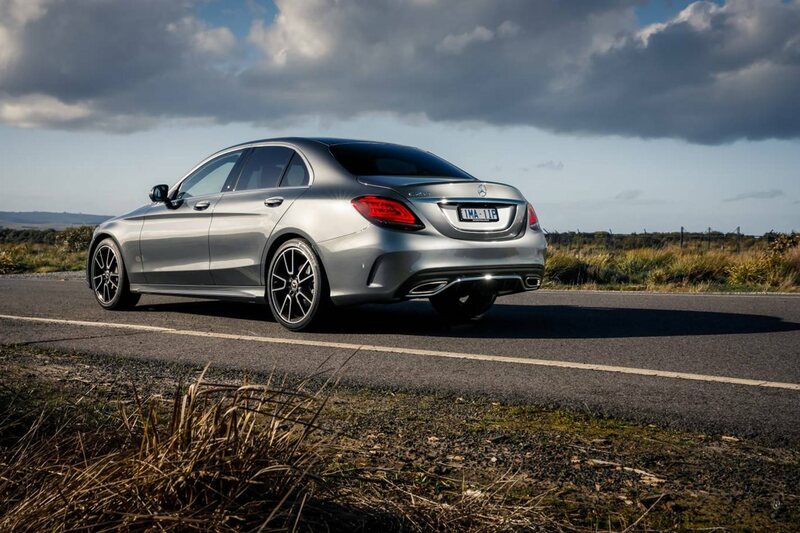 The C-Class underwent an engine downsize for the latest generation entry variant, which has chopped fuel consumption and therefore running costs. Mercedes claims the C200 will use on average 6.4 litres of fuel per 100km, which until recently was the sort of frugality only achieved by diesel engines in the segment. Notable inclusions are the drivetrain which features a sophisticated nine-speed automatic transmission and 1.5-litre turbo petrol engine, which behaves like a bigger engine thanks to a turbo and mild-hybrid electric motor. There’s also a fully digital instrument cluster, beautiful ambient lighting throughout the synthetic leather upholstered cabin, a central 10.3-inch information and entertainment system screen for accessing the navigation (and paired smartphones) is also part of the deal. The Comand promotion package adds more technology in the form of top-spec Burmester sound system, more sophisticated navigation, high-resolution screen, internet connectivity and more driver assistance systems such as traffic sign recognition. A Vision package brings an expansive panoramic glass sunroof, 360-degree camera for easier manoeuvring, LED headlights and a head-up display. Officially, the C-Class is in the mid-sized sedan segment, which means it can happily accommodate four occupants such as a family or four adults. Passengers in the back seats get 69cm of leg room and 94cm of headroom. The boot can accommodate 455 litres of luggage but that can be expanded into the second row of seating with 60:40 split folding seats. Overall dimensions measure 4.9 metres long, 1.8 metres wide and 1.4 metres tall. Nine airbags are scattered about the cabin for looking after occupants if the worst happens, along with seatbelt tensioners and an active bonnet which can reduce the severity of a pedestrian collision. 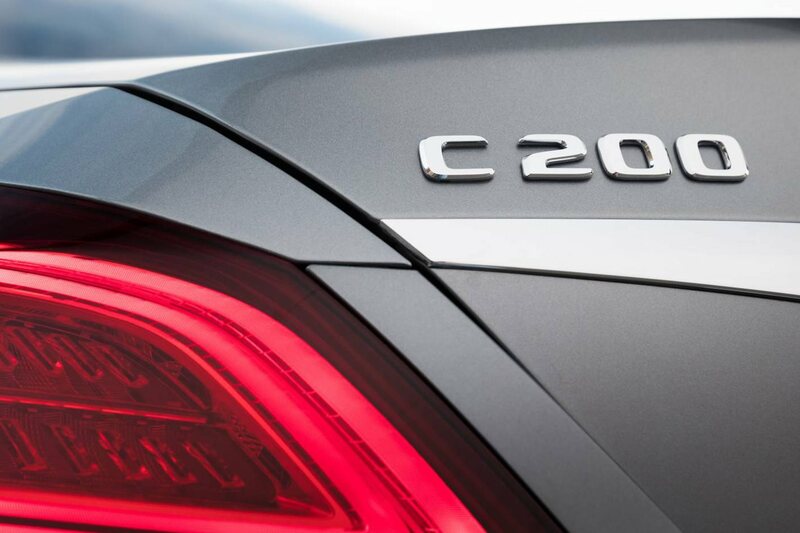 For avoiding collisions and accidents though, the C200 is packed with safety gear including autonomous emergency braking with collision warning, blind spot warning, traffic sign recognition and driver fatigue monitoring technology. The C200 really excels for comfort and, despite its smaller size, offers comfort levels of a vehicle several segments above it. Cabin noise and vibration levels are excellent when cruising at freeway speeds and among the best in the class with just a whisper of wind and road roar to remind you of the speed. There’s also minimal jolts sent through to the cabin from imperfections in the surface. 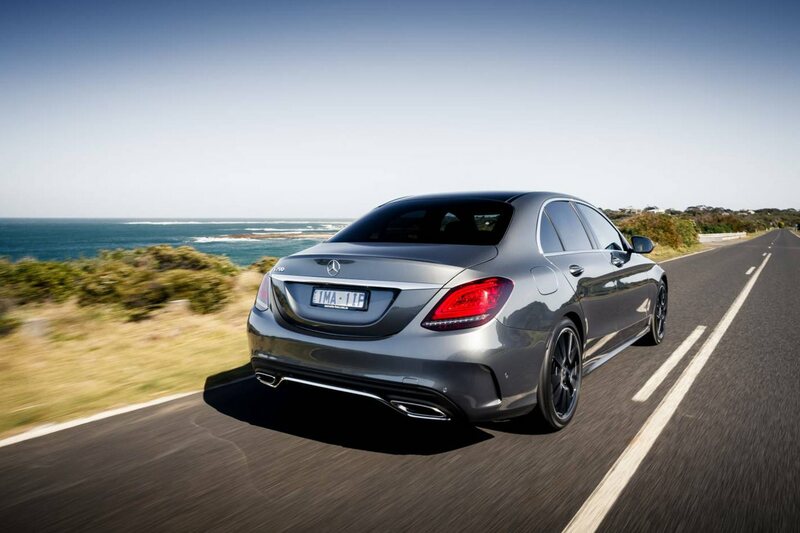 The C200 is safe, comfortable and looks good, with the handful of enhancements from the options list, our customised C200 is as rewarding to throw through a few corners as it is to pilot on freeways. Steering feels light and fast in the hands but without lacking too much feel, and the nose turns into corners with surprising obedience. Wide Continental tyres provide lots of confidence-inspiring grip and the chassis has an instantly noticeable rear-drive character without feeling intimidating. Up front, the C200 may only have 1.5 litres to play with and its 135kW may sound lacklustre on paper, but Mercedes’ proprietary EQ electrification technology lends a helping hand when you need to get somewhere fast. 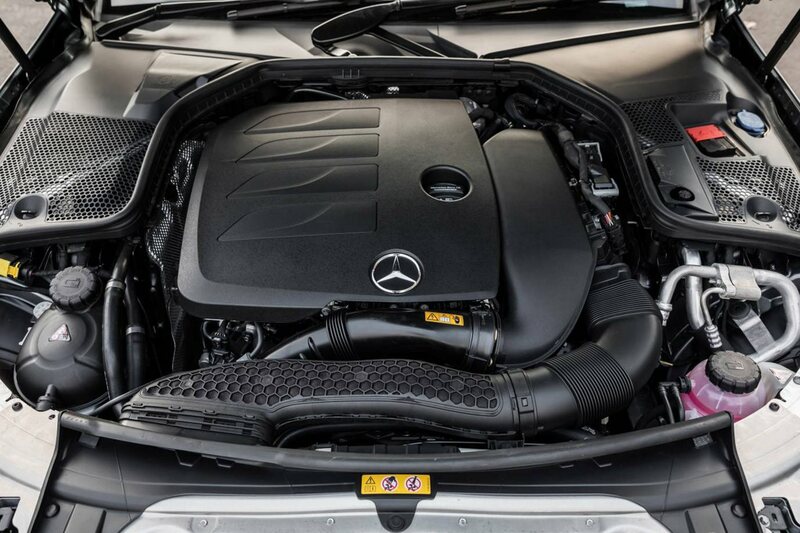 The result is an engine that feels no smaller than the 2.0-litre of the previous generation. Off the mark acceleration was a little more delayed than we were expecting given the instant nature of electric motors, but this was mostly attributable to transmission lag. Switching the driving mode into a sportier setting helps this. Generally speaking, the nine-speed transmission is silky and fast acting. With very close gear ratios, the transmission allows the engine to be kept in the most efficient or powerful ranges depending on your driving style. Instead of a separate starter motor, the electric drive also restarts the petrol engine and we particularly like the almost undetectable whirr as it fires up the power from a standstill in traffic. Once up and running the turbo petrol is surprisingly capable and feels faster to 100km/h than the claimed 7.7 seconds. For the Mercedes loyalist on a budget, the C200 is certainly a viable option offering bags of badge cache and typical Mercedes quality.